Gui Pop Up on placing a painting. 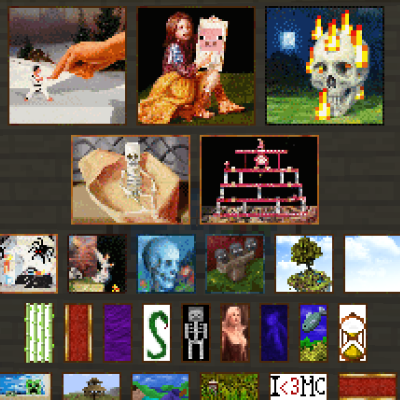 fixes placed paintings covering each other with gui. The Painting Selection Gui works great with Paintings ++ !! Since Update 5.0.0.0, PSG-Revamped is no longer available as a standalone mod. The mod is/was licensed under the GPL version 3, so all modifications and distributions are legal. I took the liberty of updating this mod, revamping and fixing it, and redistributing it. 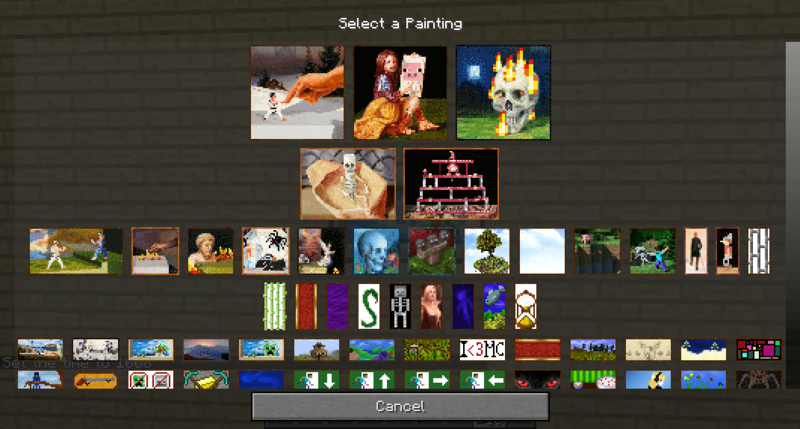 When will this be updated to work with the 4.0.0.1 version of your paintings mod? Both mods will get merged. Sorry it's taking a while. the PSG isn't build on using something other then the vanilla paintings ! thank you for your response, take your time and keep up the good work m8! It's coming along great, if you're still curious. came across some complications, but I expect to release within ... lets say the month. most likely sooner ! actually, it's out now ! have you tried scouring the github page for people that had the same issue ? For some reason this mod doesn't work for me and I can't figure out why. When I start the game, go into a world and place a painting no gui shows up. It just places a random painting like in vanilla minecraft. When I look into the mod options the mod is installed. whatever it was, it's now all fixed in 5.0 ! I'm sorry for not responding earlier! I've just seen your comments. Thank you very much for fixing it! This is such a useful mod! 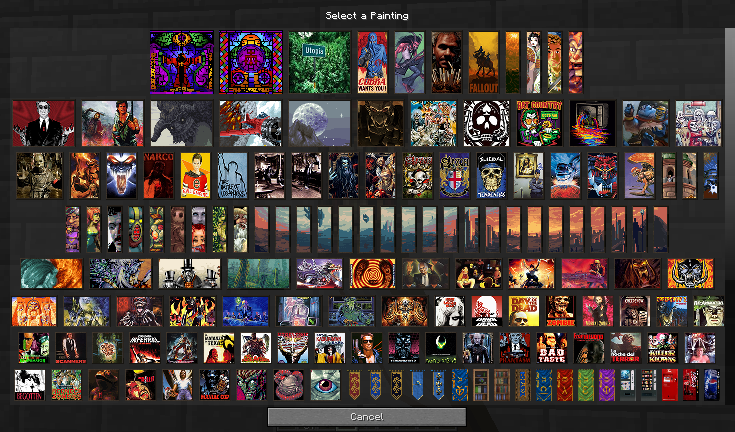 thanks for the quick fix in "paintingselgui-PSG+Revamed-1.12.2-1.1.0.1"
Hey is this mod client only? no sorry. thats not how this one works. Hey, sorry for the late reply, I know I have been inactive for the past few months. I have moved houses, had to find a job, and am currently working to pay my rent ! I'm missin moddign a bunch though, so i'll be back soon when I get a rythm in work-free time relation and will hop back into modding and update everything I can ! change only this one : and it should keep it. the other line is just a comment. if i recall correctly, you need to either place the painting bottom left or top right for it to detect the 2x2 space correctly.